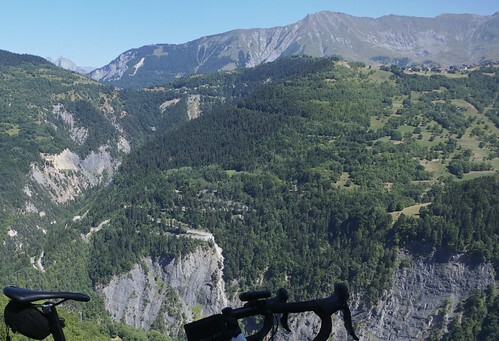 The Mauriennne Valley is full of many of the biggest and most famous climbs in France - see here - but there are also many other lessor known gems that shouldn't be ignored. 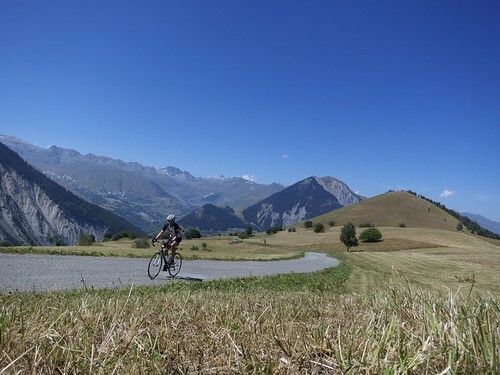 The Mauriennne Valley is full of many of the biggest and most famous climbs in France – see here – but there are also many other lessor known gems that shouldn’t be ignored. 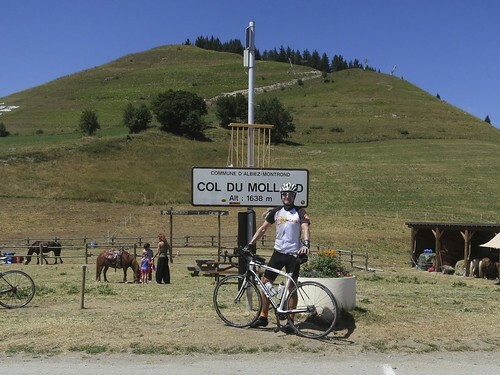 There are a few ways to cycle up Col du Mollard – for the direct, hairpin-filled route see here – it’s a great “long-cut” to Col de la Croix de Fer. My route today was via the quiet and scenic route that starts down low through the gorge between the mountains with Mollard and the road to Croix de Fer. After a few easyish kilometres it then turns up through a forest on some great hairpins. 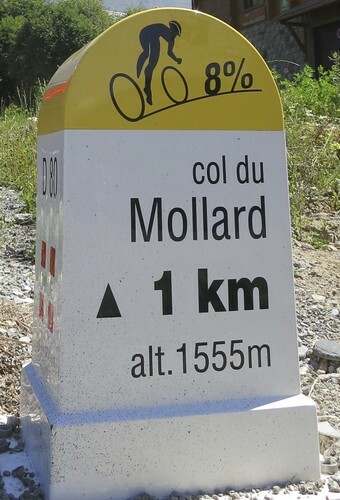 After Col du Mollard, there is a tricky descent of a few kilometres and just before joining the route to Croix de Fer is the turn off to Chalmieu. It’s a steep ride from here on. A steady 10%ish. At the village of Chalmieu, just keep on following the paved road through the big parking lot. 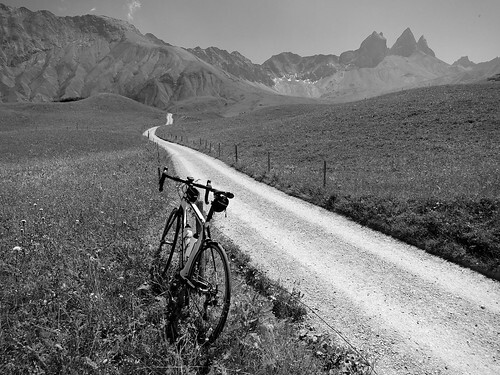 It’s more pastoral than savage, with cow filled fields – but big mountains are everywhere and the route heads straight towards the distinctive three side-by-side mountain peaks: Les Aguilles d’Arves – easy to see in the Black and White photo at bottom. At 1910 metres the paved road ends, but there is an unbelievably inviting, good quality, gravel road that just continues on. I probably should have braved the surface ….. but a future visit is now almost obligatory. 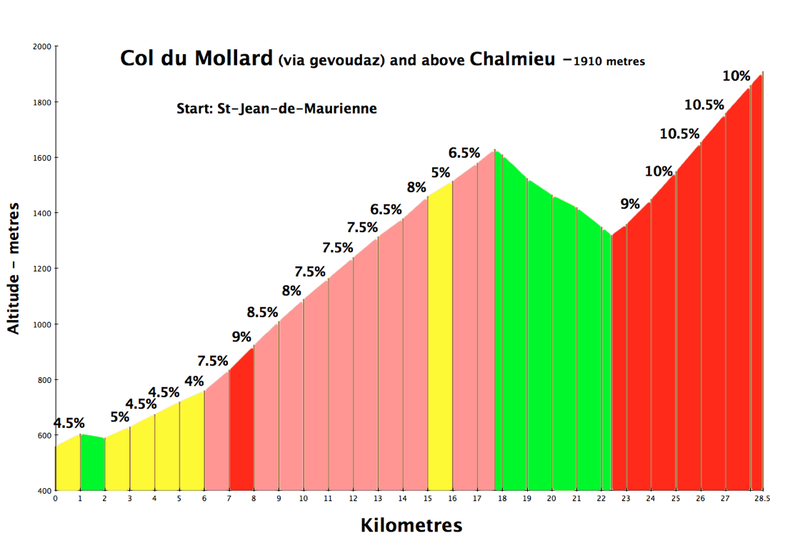 For the descent, I doubled back and joined the bottom half of the classic Col de la Croix de Fer route back to St-Jean-de-Maurienne.